In today’s world of internet and free communications, content writing is one of its kind high paying jobs. A professional content writer is who writes content based on the requirements of his/her client and charge per word. Who is a Professional Content Writer? These are some basic options on which you have to master your professional writing skills and make sure that you can write with these conditions. If you can write with these tracks then you are going to be a great content writer who can charge as much as he/she wants. Its not about buying a course online and getting certified, its more then this. Of-course being a certified content writer is a plus point for getting writing jobs but there is something more than this. So lets read how you can develop your skills. First of all you have to improve your content quality and be able to write in a way that humans can easily read your writings. Nobody will pay you to write for robots or use enough of keywords for SEO (search engine optimization) as its a myth that keyword-rich content leads to higher rankings at Google and other search engines. Everybody (your clients) is looking for high quality content writer, even if their budget is too tight, they will never spend on low-quality writing services. Grammarly will help you with punctuation and grammar errors and also make sure that you are writing in your style and your related topic in an accurate way. Yes, after completing first step of improving your basics, here’s the next step for being ready for your first content writing job. You have to watch some of the free or paid content writing courses and make sure that they are from experts and not newbies. On YouTube, KhanAcademy and Lynda, you can find many courses from various experts and watch them on your spare time. In the end of the each course, you can receive your certificate and that’s the first step to become a professional content writer. I know that finding your passion is hard for you, as most of the times people are unknown to what they like the most and what they hate. Have a list of that favorite topics and then pick one topic which you think is the main idea of your mind and you think that you can easily write on that particular topic. Also make sure that if you asked to write on the same topic on a daily basis, that will be suitable for you or not? If it is a yes, then say horray, because it’s your passion. You can pick that topic as a favorite or expert-in-category for your content writing job application. If you don’t want to lose any of your client and be a long-term content writer for big brands and publishers then this is the crucial step and you must read this. Also, its the easiest thing and you will learn to add some essentials in your writings that will win hearts of your clients. These are the bullet points and you must have to watch tutorials on these things and learn about them for a bright content writing career. As if you are familiar with SEO, you can have clients who are looking to improve their organic traffic and if you are familiar with HTML and CSS then big publishers with their custom build content editors will hire you. WordPress is a global leader in content publishing and powering millions of websites/blogs including some really big websites. If you know the basics of this CMS (content management system) and have an idea of its new editor “Gutenberg” then chances are you can get more content writing jobs with long-term plans. Same goes with news and evergreen content categories, news agencies and many evergreen content publishers are looking for experts in these categories as they don’t want to waste their time on teaching a writer. You can show them your expertise and get hired quickly. Why a person, company or publisher should give you a chance to write for them? Give them a reason by creating your own content writing portfolio and that’s the only way of getting high paying gigs. 4.1: How to Create My Portfolio? Getting your first content writing gig is really a hard step and its the only way of creating your portfolio. Write at-least 10 articles on different topics and don’t ask them for any kind of favor. Just ask them to include your name as a guest poster at the footer of the articles and there’s no need of getting a link from them as they may reject your offer. As you have published 10 articles on different topics and you have your name at the end of each article, now its time to showcase your portfolio. Create your personal blog or a free blog with WordPress or Google Blogger and create a portfolio page there. Now add links to all of those articles and showcase your work as your portfolio. This is the only way of creating a great portfolio and proving your skills to your clients. Your skills are improved, you have certificates, you got a portfolio now its time to get hired and start making money writing. No, that’s not as easy you are reading this line. You have to do some home-work and play smartly to get hired for first time. With my experience, I recommend you to start with Freelancer or Fiverr and don’t just complete your profile and sit there. Start creating gigs and send proposals to people who are looking for a quote on their content writing needs. These platforms are also providing you a way to test your skills and create an outstanding profile which can attract customers towards you. Not just freelancing platforms, but you may get content writing jobs from job boards and social media networks. These are some of the free job search websites where you can find content writing jobs and then apply for them. But for this you have to create your resume and add your experience in your resume. Don’t worry, this resume can be as simple as you want and you just have to tell about your education, certifications and writing experience. Content writing is about typing for a person and getting paid for your time. If you have some common questions about content writing in your mind then read this FAQs list and it will clear all your doubts. What is the salary of a content writer? It depends on various factors, like your experience and clients. However, an average pay for a Professional Content Writer is 1,800 United State Dollars. How can I become a good content writer? How do I start content writing? Is content writing a good career? Of course YES! its the career of future and the scope of the content writing career is much wider. If you can sit and write for some hours a day then this is the #1 career for you and can make you millions. What skills does a content writer need? How much do content writers charge? If a content writer is a newbie at content writing and just started then he/she can charge 1 cent per word or 2 cents per word with good quality content delivery. If a content writer is a professional and can write high quality content then he/she can charge not more than $1 per word and also it depends on the type of content a writer have write. How do freelance writers get paid? Simple, they showcase their experience and give their content writing samples. If the client is interested, they gets the jobs and after sending the work (if client says yes) they get paid via their preferred payment method which can be PayPal, Bank Deposit or any other way. How much do freelance writers charge per hour? This is something exciting about content writing. You can charge up to $2000 writing for a magazine and charge up to $50 for web content and blog posts. On the other hands you can charge up to $200 for documents and creative writing, also you can charge up to $80 per page for writing books and novels. How do I become a freelance writer with no experience? 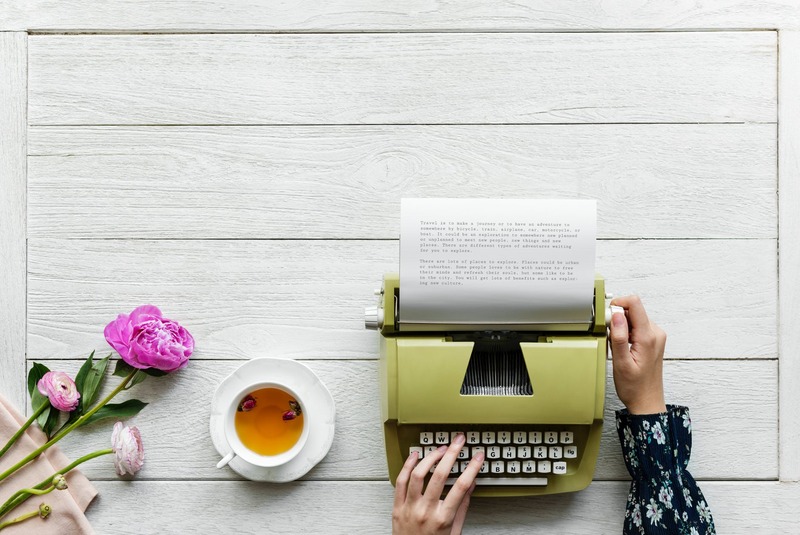 The simplest way to become a freelancer writer while having no-experience is creating your content writing samples and sending them to bloggers then offering them free content for their blogs as guest contributions. This way you can create your portfolio and also you can write on your own blog. After getting some articles of yours published on other blogs you can create a portfolio with that articles on your own blog and be a content writer without any hard work. That’s enough for now, and I am sure that this guide on how to become a successful content writer and get paid helped you. If you are still looking for tips and have to ask a question then comment below and I will reply you ASAP.